The word defense here in the Greek is 'apologia' which means to give a defense. Paul states in (1 Cor 15:13-19) that if there is no resurrection of the dead then Christ is not risen and we are the most pitiable of all people. The question we must ask ourselves is why do we believe what we believe? If Christianity is objectively true then does it matter if it is believed in or not? If someone ceased to believe in gravity would that person float away? Of course not! The reality of gravity holds us down whether we believe it or not. 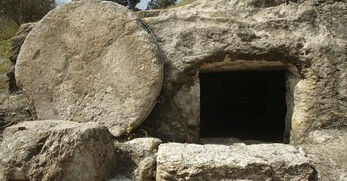 What about the resurrection of Jesus? There is incredible evidence that God exists in the intricate design shown in creation. There is evidence that miracles are possible since God created everything we know from nothing. And there is more evidence that historical documents of the New Testament are more verifiable than any other ancient piece of literature available. The question is, where does this evidence lead us? We can believe that all this is true but not come to a real resurrection relationship experience with Jesus. We have to go from belief that these things happened to belief and trust in Christ that He did die for our sins personally and resurrect from the dead that we might have life. Years ago I had evidence my wife would make a good spouse, but I had to take a step of faith and ask her to be my wife for us to be in relationship. So it is for those of us who want to have a real relationship with Christ, we have to put faith in Him and what He did, then ask Him to forgive us and entrust our life to Him. Life Lesson: We are called to know what we believe and why we believe it. 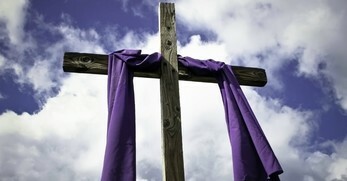 Lord, I thank You for what You did for me on the crossñdying for my sins and then resurrecting from the grave. 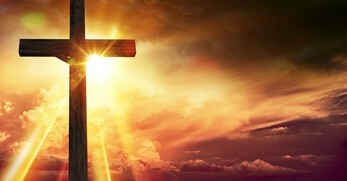 Please give me that same power that raised Jesus from the dead to richly dwell in me for all the days of my life. Please help me stand for what I believe with all my heart, mind, soul, and strength. I pray in Jesus' name, Amen. Scripture quotations marked 'NKJV™' are taken from the New King James Version®. Copyright © 1982 by Thomas Nelson, Inc. Used by permission. All rights reserved. Scripture quotations marked (NLT) are taken from the Holy Bible, New Living Translation, copyright © 1996. Used by permission of Tyndale House Publishers, Inc., Wheaton, Illinois 60189. All rights reserved. Copyright © 2017 Cross the Bridge. Originally published May 21, 2017.